The stage has been set and the draw has officially been released for the 2018 National Premier Leagues NSW Men’s competition with round 1 kicking off on Saturday March 10 with twelve teams going head to head for the right to be crowned Premiers and Champions of NSW’s top tier Men’s competition. Round 1 will see a number of exciting battles take shape across Sydney, none more so than the 2017 NPL NSW Men’s Grand Final replay when Champions Manly United take on Premiers APIA Leichhardt Tigers at Cromer Park. That very same evening will also pit the new kids on the block, but a former NSL giant in Marconi Stallions, coached by Peter Tsekenis and Peter Papoythis as they face neighbours Sydney United 58 with former Socceroo star Jason Culina running the ship as the club’s new head coach. In other matches on the Saturday, Sydney FC will face Hakoah Sydney City East while on Sunday a further three games will take place as the local derby will feature Rockdale City Suns taking on the Sutherland Sharks, the Wollongong Wolves will entertain Blacktown City and finally in yet another classic encounter, Sydney Olympic tackle the Bonnyrigg White Eagles. The final round of matches has been scheduled for Sunday, August 12 with the NPL Championships Series commencing on the 19th of August and the Grand Final set for Sunday, September 9.  To view the 2018 NPL NSW Men’s competition fixtures click here. *Further communication regarding the draft match schedules for all other Competitions will be communicated in due course. Christmas has come early for the Wollongong Wolves Football Club with ex-Japanese international and J-League star Yuzo Tashiro agreeing to terms to continue his career in Wollongong for the 2018 season. Tashiro is the second major signing announcement for the Wolves, following the recent agreement with ex-Central Coast Mariners captain, and Sheffield United legend Nick Montgomery confirming he will again don the Wolves colours for next season. “Yuzo proved this year what a valuable asset he is for us up front, and having him on board again for 2018 is a huge boost for our club,” commented Wollongong Wolves First Grade Coach, Jacob Timpano. 2017 was Tashiro’s first year in Australia with the Wollongong Wolves and he quickly agreed to terms to lace up the boots again. “I am very pleased to have signed again for the Wolves for next year. I enjoyed this season very much and know I will be even better in 2018. At first it was a little difficult getting used to everything but I am much more comfortable now and have a much better understanding of my teammates and football in Australia. I am looking forward to scoring many, many more goals for the Wolves,” said Tashiro. Tashiro was a major attacking focus for the Wolves on the pitch, and he also provided a wide range of additional benefits for the entire Illawarra and South Coast region off the pitch. He was an official International Ambassador for the UOW College and managed to generate significant media stories and interest across Japan and Asia about his new life and team in Australia. As part of his Ambassador role for UOW College, Yuzo spend 2017 on campus studying and plans to return next year to continue his education. “UOW College was excellent for me. I studied English which was a great help and made a lot of new friends. Wollongong is a fantastic place to live and playing for the Wolves has been an amazing experience. I am just so happy I will be here again next season,” added Tashiro. Tashiro has definitely made himself a home in Wollongong, settling in comfortably with his wife and 3 young children. He made the decision to relocate his entire family to Australia after the first few months of living and playing football in Wollongong. What he initially looked at as a short term contract to experience something a little different now appears to have changed into a major lifestyle choice for the future. Due to his eye catching performances there was considerable interest in Tashiro’s services for next season from many other clubs, across NSW and Australia but his only real intention was securing an extension to his existing Wolves agreement and remaining in Wollongong.